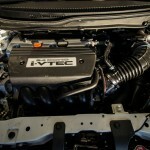 It represents an incredible value in its class and is easily one of the best cars available for under $30,000. 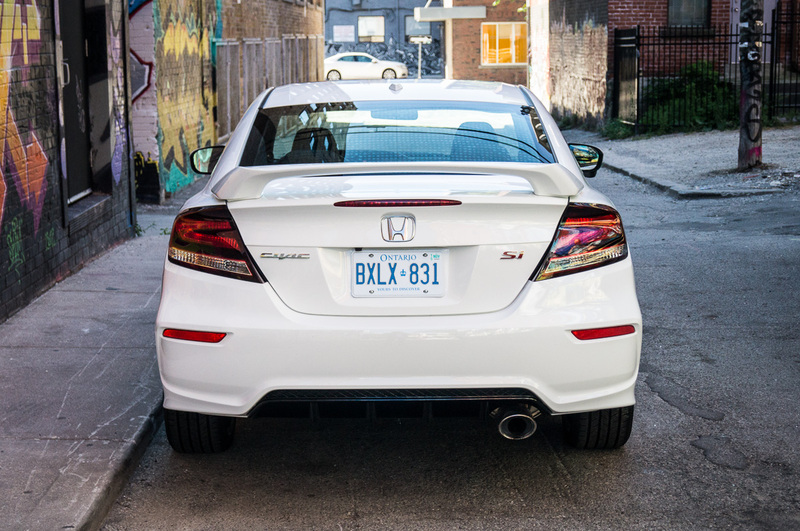 In the Canadian automotive market, the Honda Civic has been a perennial favourite in the Great White North since its introduction in 1973. 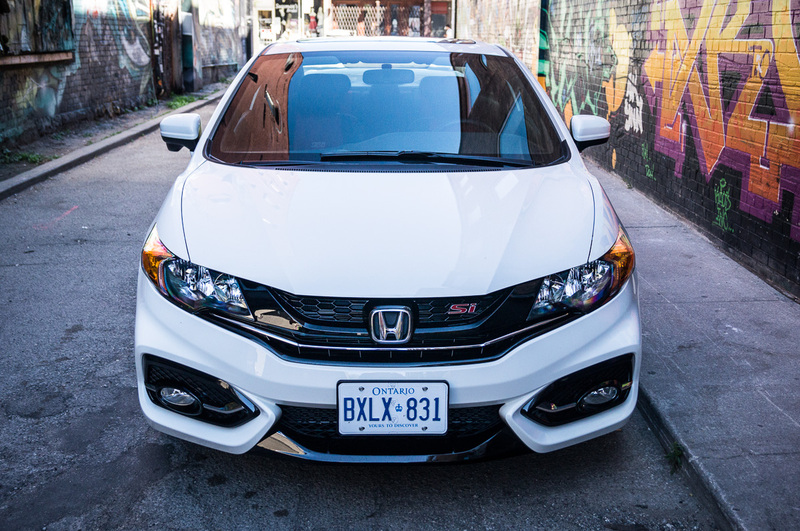 As Canada’s best-selling car for the past seventeen years, the classic formula of cheap, reliable, and fun-to-drive hasn’t changed one bit. 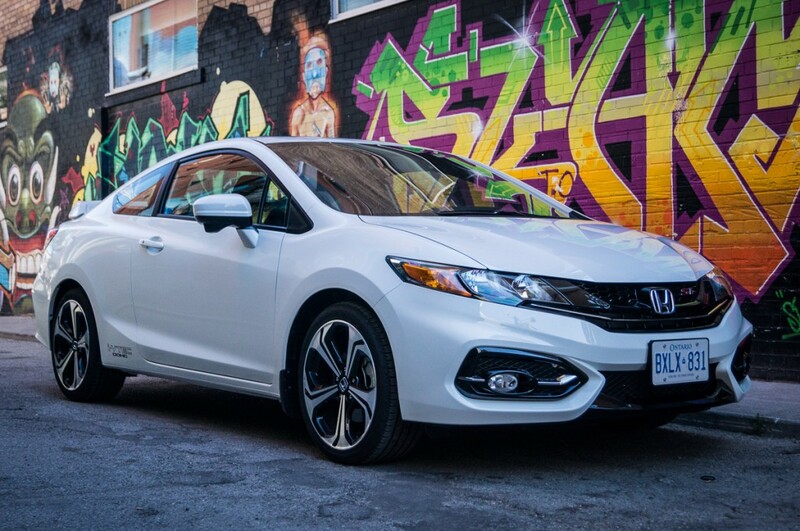 While today’s Civic is significantly larger than Civics past – with today’s model over three feet longer than the 1973 model – it remains almost a default choice in its class. As the cherry on top, the sporty Si moniker has been around since the 1980s, with many iterations being regarded as the pinnacle of front-wheel drive handling. 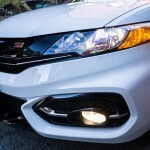 Will the 2015 Honda Civic Si fill the shoes of its predecessors? 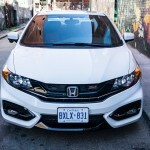 Honda Canada handed us the keys to a Taffeta White coupe so that we could find out. 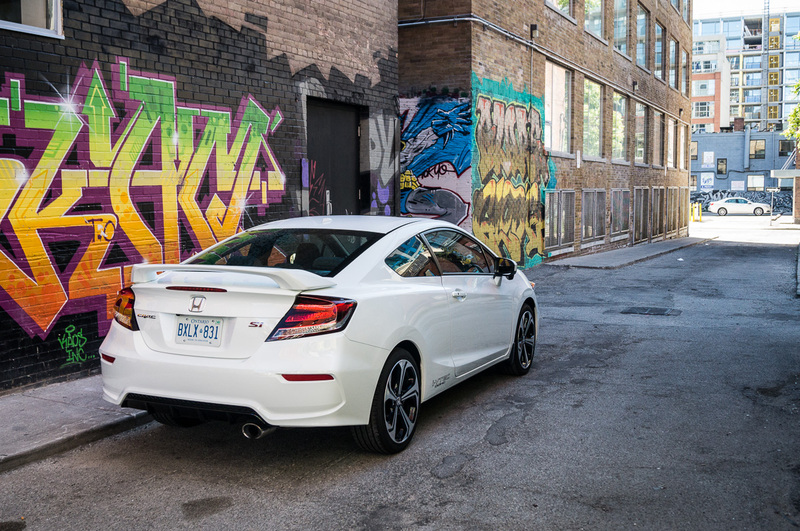 Also available in sedan form, the Si represents the top of the line in the 2015 Civic lineup, bringing both performance and practicality to the table. 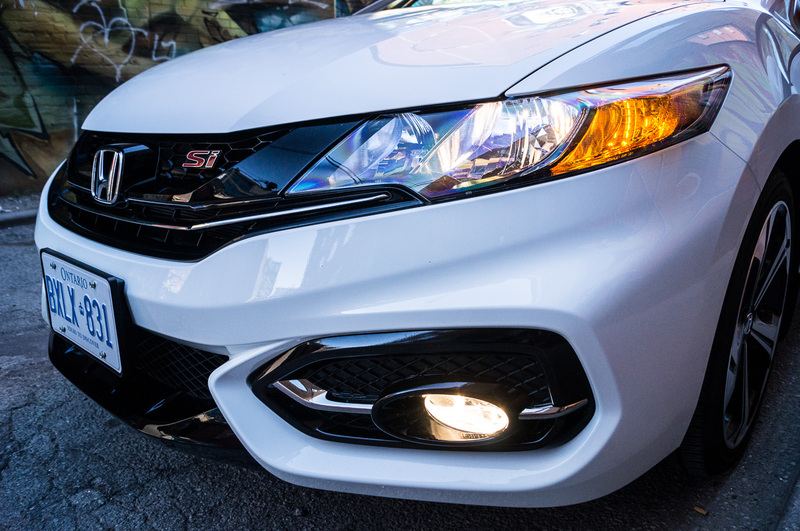 It attempts to make a bold first impression with large fog light housing “jowls” and an aggressive lip built into the front bumper. 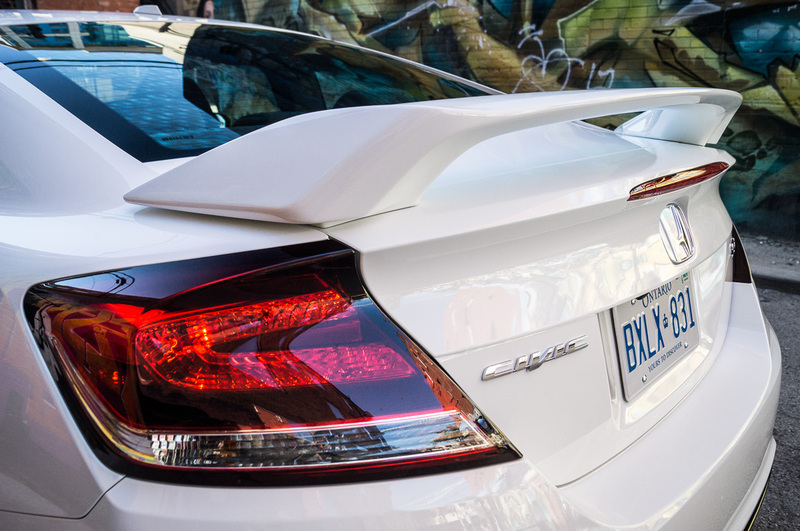 Out back, a sizable rear spoiler lets everybody know that the Si means business. 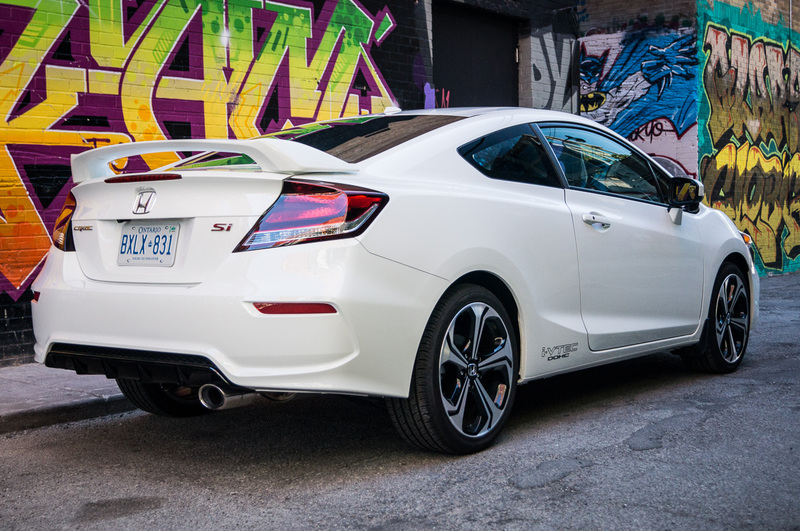 Sawblade-like 18-inch aluminum alloy wheels, a chrome exhaust tip, and a fast roofline round out the touches that separate the Si from a base trim Civic. 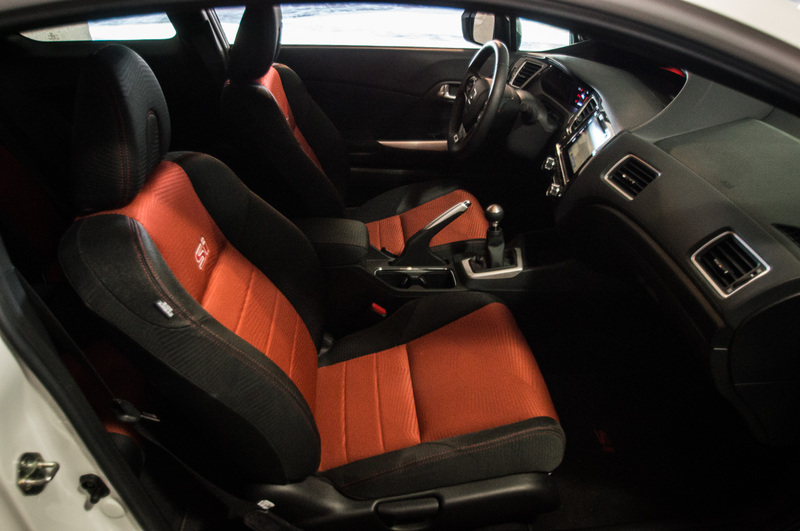 Inside, the Civic Si continues the sporty trend with red and black cloth seats (leather is only available on luxury EX-L trim levels), which are firm and possess large bolsters, but don’t impede on comfort during longer trips. The driver’s seat is six-way manually adjustable. 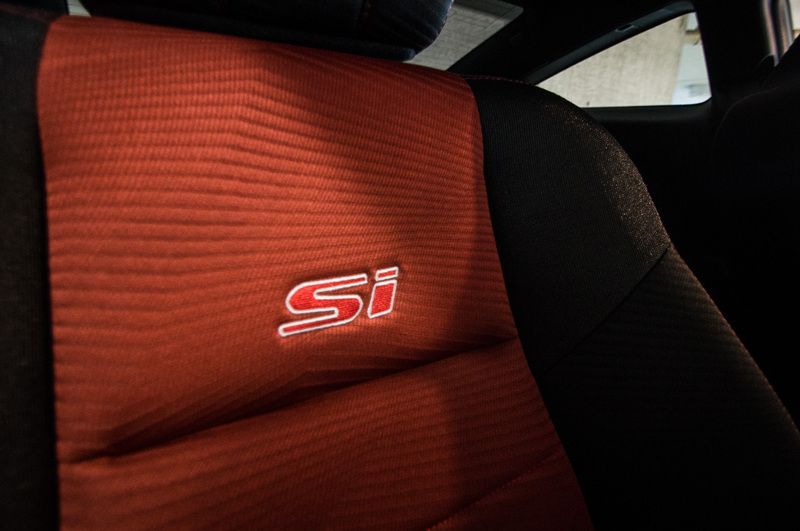 Heated seats and automatic climate control are both standard equipment on the Si, which is unique to Canadian cars; our American friends aren’t so lucky. 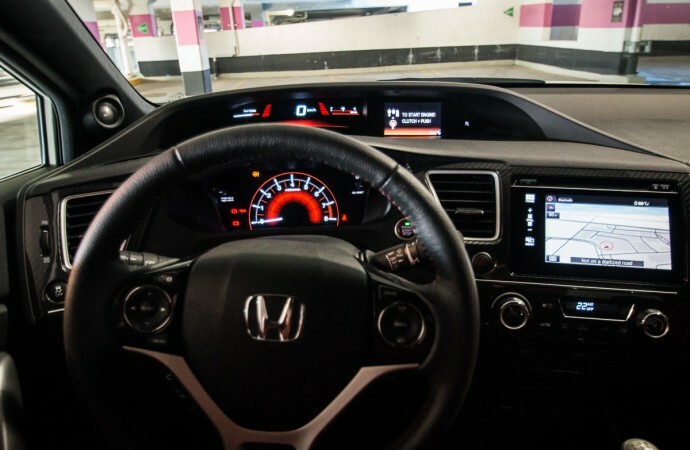 HondaLink, Honda’s form of infotainment and navigation, has a large touch screen and packs a good punch with 7-speakers, a subwoofer, and full Bluetooth capability. The screen is responsive and navigation input is functional, if not slightly clunky. There are two USB ports for device connection or charging, however the absence of a proper volume dial requires a tap the screen if the steering wheel volume controls are not used. Like most touch screens, this becomes a fingerprint magnet, which may be an issue when it comes to reading the screen in direct sunlight. 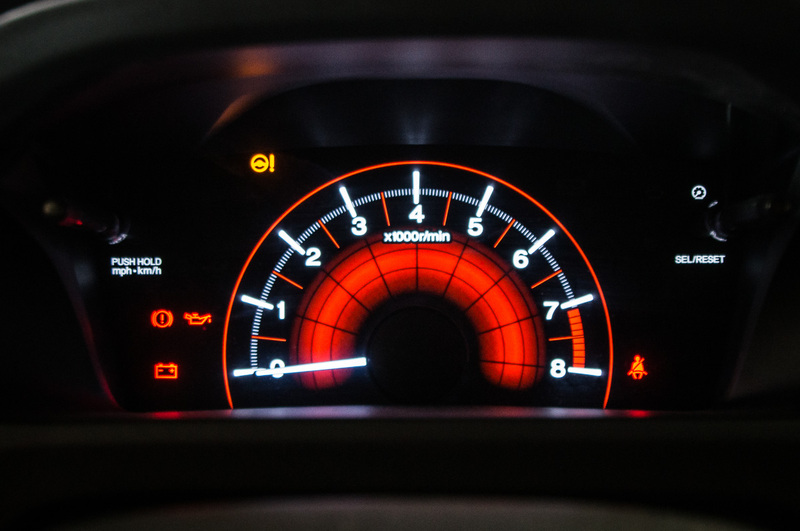 Fortunately, the upper level screens and gauge cluster (which display speed, tachometer, and vehicle/media information) are legible and clear under all conditions. 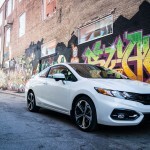 In terms of safety, Honda has packed a glut of both active and passive safety features in the 2015 Civic. 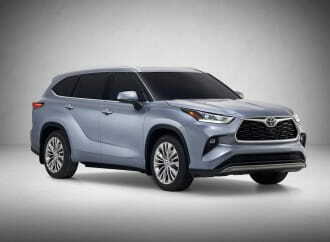 Standard across all trims, including the Si, are anti-lock brakes (ABS), Vehicle Stability Assist (VSA), traction control, and side airbags with rollover sensors. 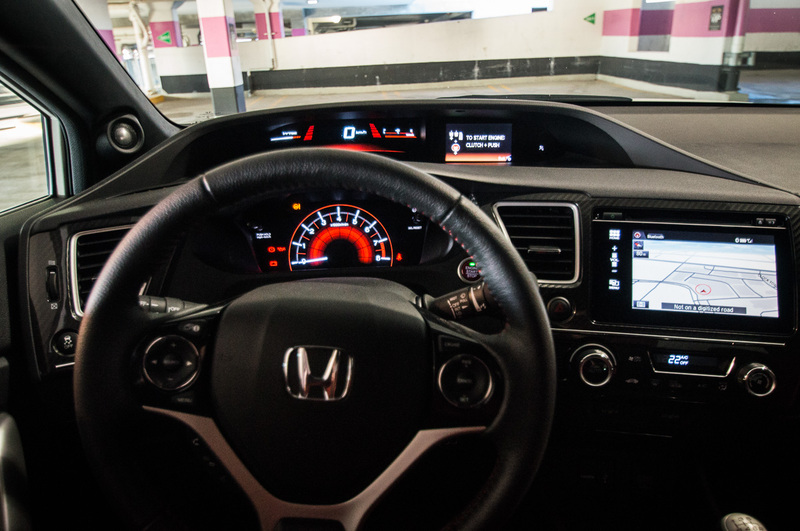 A rear view camera with multiple angles makes parking a cinch, and Honda’s LaneWatch Blind Spot Display makes use of an additional camera located underneath the passenger side-view mirror. 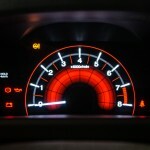 With the right turn signal switched on, or a button held down on the turn signal stalk, the main radio display changes to a view of the right-side blind spot. 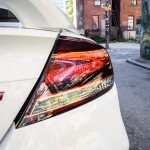 Most drivers will likely ignore the camera at first, but after a period of adjustment, it proves to be a useful feature that helps visibility during both city and highway driving. 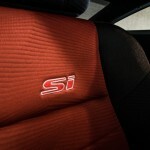 Part of the classic Si formula has always been an enthusiastic and rev-happy engine. 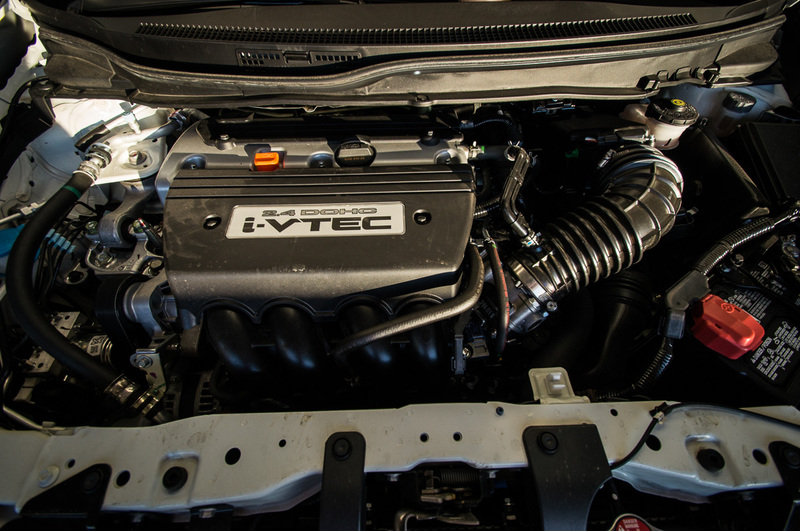 Under the hood is a 2.4L inline-four (known as the “K24” in Honda circles) with dual overhead cams, and i-VTEC variable valve timing. 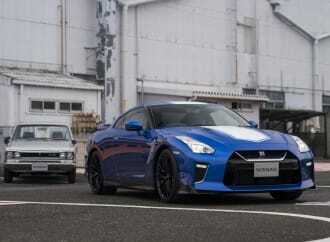 It has a rated power output of 205 horsepower at 7,000 rpm, and a torque output of 174 lb-ft at 4,400 rpm. 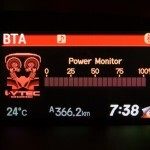 Many purists have complained that the K24 is a large, less sporty choice than the 1.6L, revs-to-one-million-rpm options of the past. 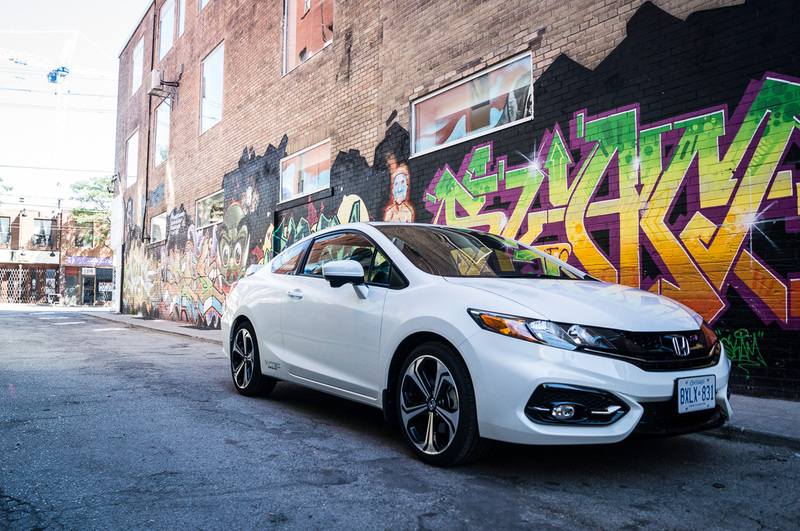 While the 2015 Si isn’t quite as sprightly as the ghosts of Civics past, it is still a very willing dance partner, with a redline of 7,000 rpm. 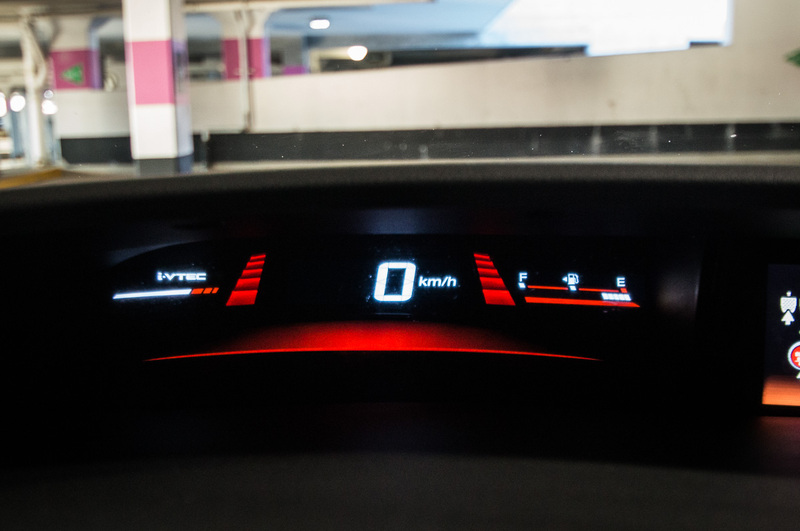 The difference with the modern car is an abundance of torque: the old cars suffered with sluggishness at anything below 4,000 rpm, whereas the 2015 model is a strong performer across the entire rev range. 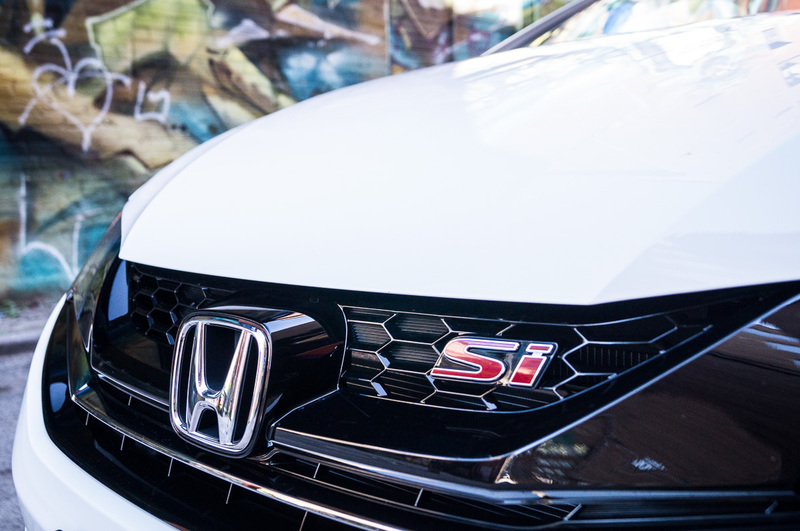 This helps in all real-world driving situations, and helps make the Civic Si fun at all times, including when you aren’t driving spiritedly. 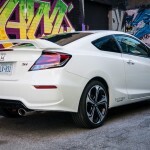 For transmission options, you can have your Civic Si in any transmission you like, as long as that’s a six-speed manual. Fortunately, it’s a very slick-shifting unit with a clutch that is easy to modulate, if not a little numb. 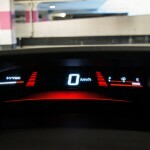 Smooth launches around town with a minimum of revs or clutch slip is very easy. 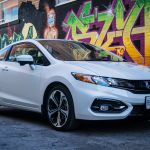 The shifter is easily among the best of any car in its class – and is even better than many cars with price points tens of thousands of dollars higher. 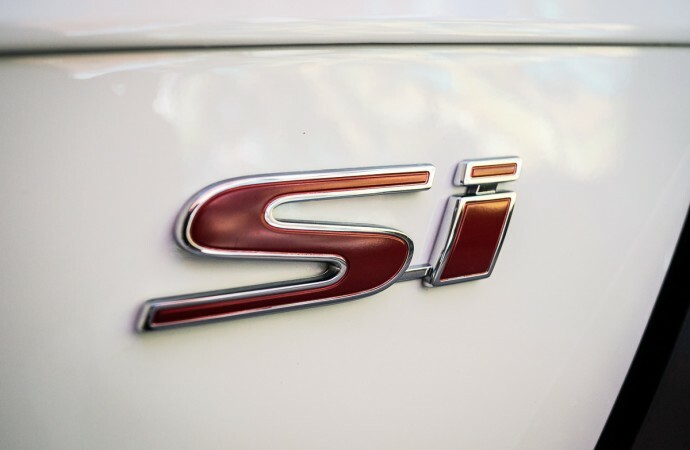 Combined with the refined yet willing K24 four-cylinder engine, the Si will put a smile on your face every time, without causing any fatigue, even in stop and go traffic. 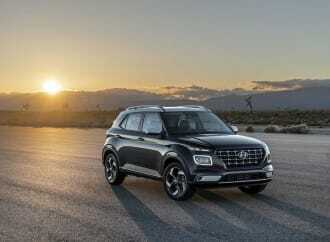 When the going gets quick, one of the biggest bonuses is the inclusion of a helical limited-slip differential – an option that is practically non-existent in the front-wheel drive world. 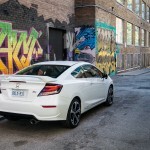 Other competitors such as the Ford Fiesta ST have electronic torque vectoring that makes use of the brakes, but this doesn’t quite hold a candle to the Civic Si’s fully mechanical setup. In hard acceleration during corner exit, the driver can actually feel the nose end of the car track in-line with steering input, due to the increased traction. In cars without limited slip (open differential), you simply induce understeer as the inside wheel breaks traction. 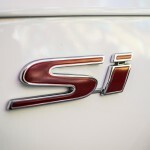 The third part of the Si equation involves the suspension. 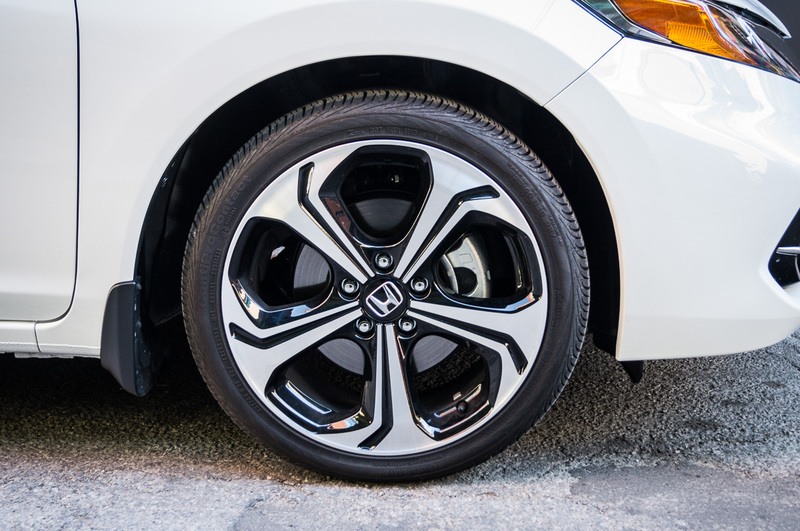 With a Macpherson strut setup up front, and an independent multi-link configuration in the rear, ride quality is typical Honda – slightly firm, but not overly harsh. This trade-off results in responsive handling and a willingness to dive head-first into corners. 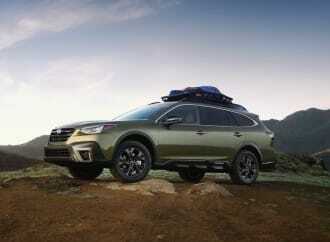 Grip levels with the all-season 225/40/18 tires are fairly good, but could be greatly improved with proper summer tires. With an electrically-assisted steering rack, steering feel suffers compared to a traditional hydraulically-assisted design, but the Civic Si is still above average compared to other cars that have electric assist. 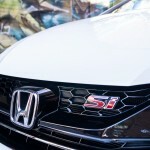 With an 11.0:1 compression ratio on the engine, Honda recommends premium fuel (91 octane) for the Si trims. Fortunately, this does not mean that the Civic Si is a thirsty commuter car – it’s merely a small price to pay for a large amount of fun. 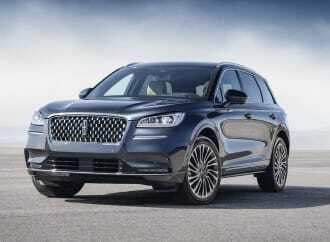 Fuel economy is rated at 10.8 L/100km in the city, 7.6 L/100km on the highway, for a combined rating of 9.4 L/100km. 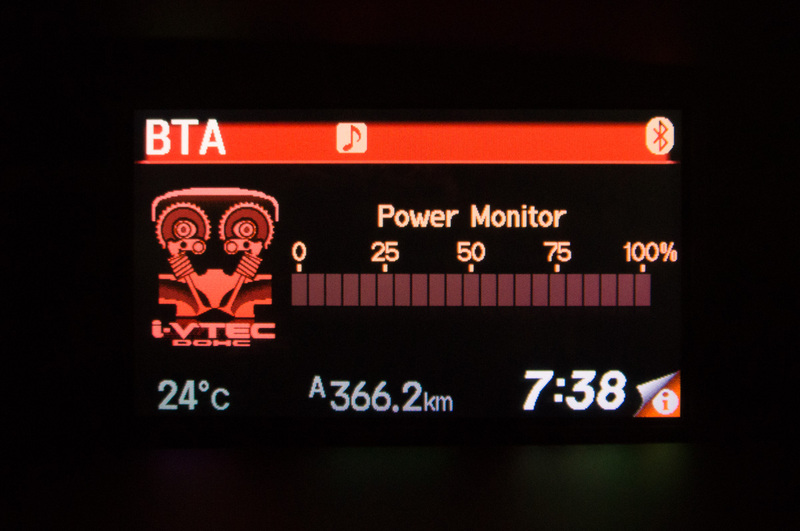 Observed test fuel economy, with mixed spirited driving, managed to handily beat the combined rating, for an average of 7.9 L/100km. 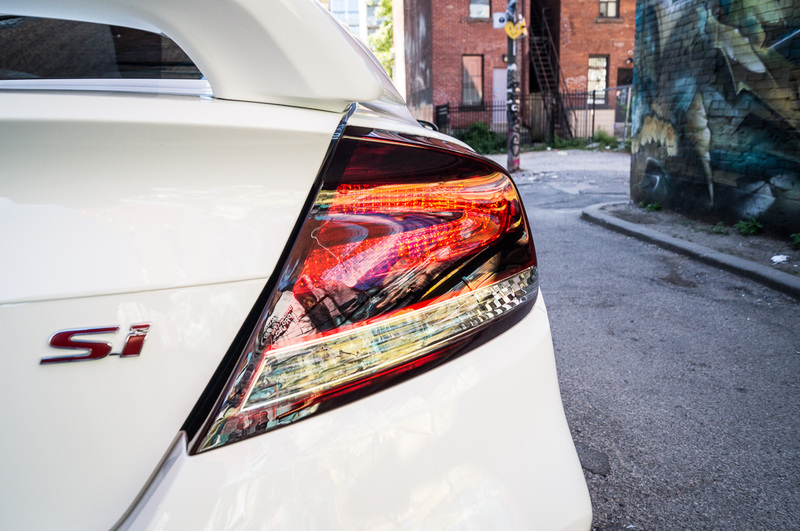 Rounding out the one-two-three punch of powertrain, handling, and fuel economy, the Si coupe and sedan come in for the knockout with an as-tested retail price of $26,850 (coupe), before freight and fees. Built in Alliston, Ontario, countless Canadians from coast to coast can’t be wrong when they made the Honda Civic the best-selling car in the country. 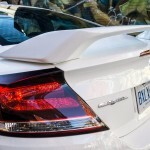 It represents an incredible value in its class and is easily one of the best cars available for under $30,000 – you’ll have to spend a lot more money to get more car than this.